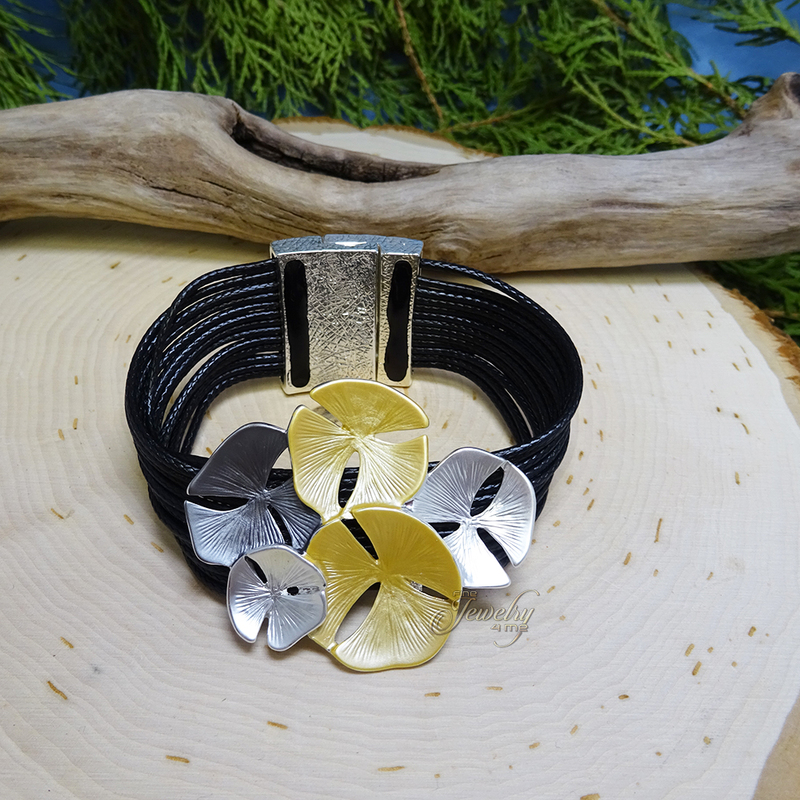 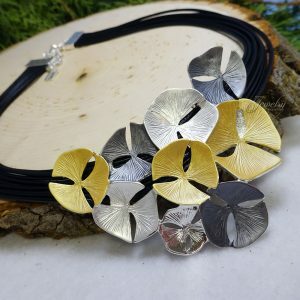 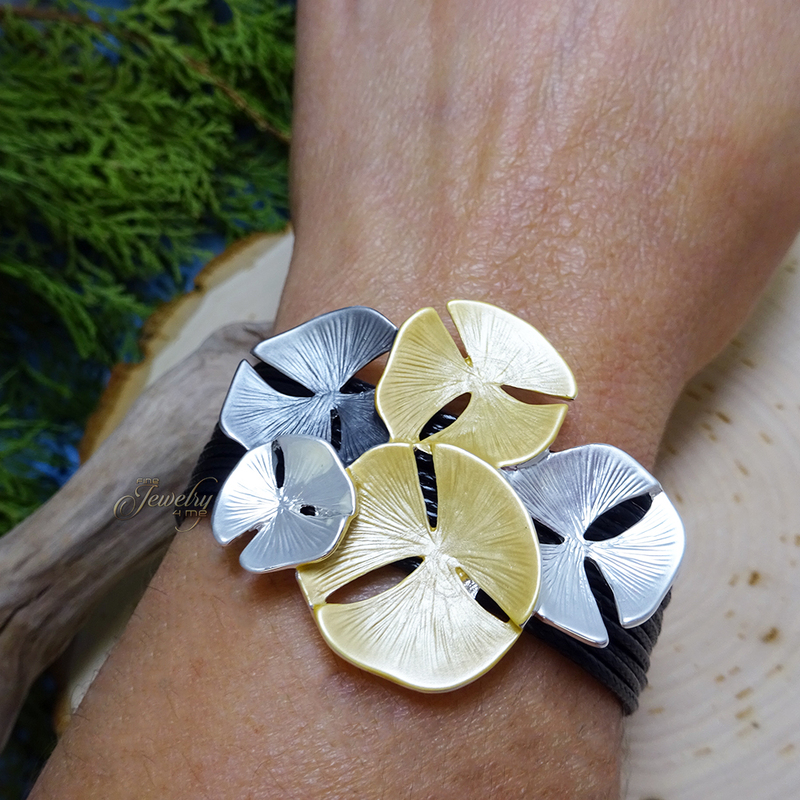 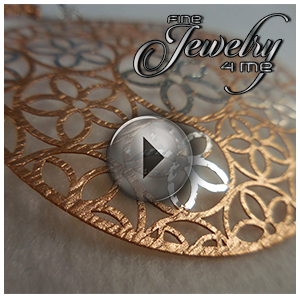 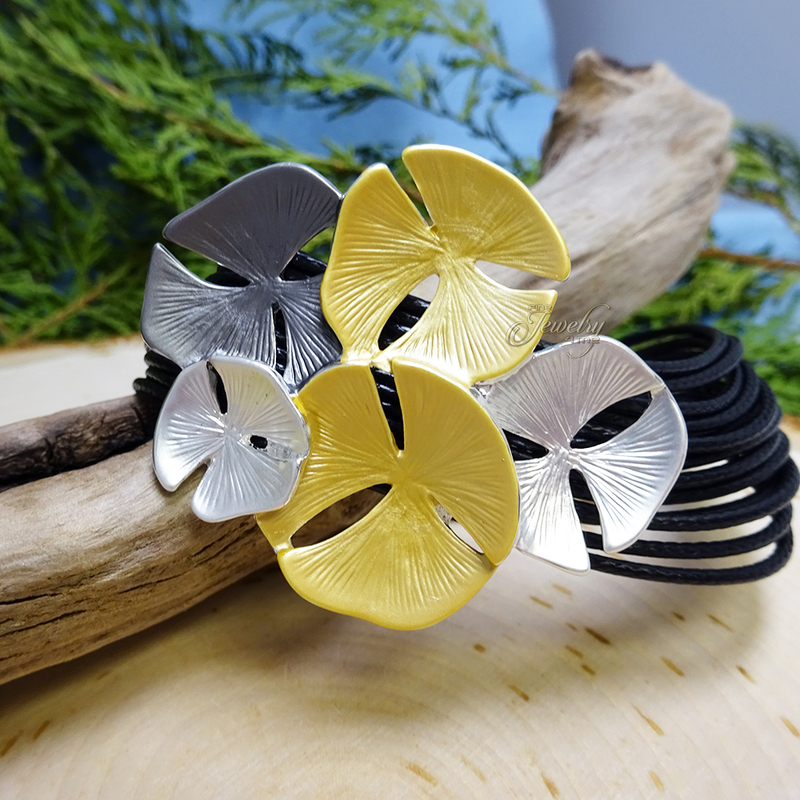 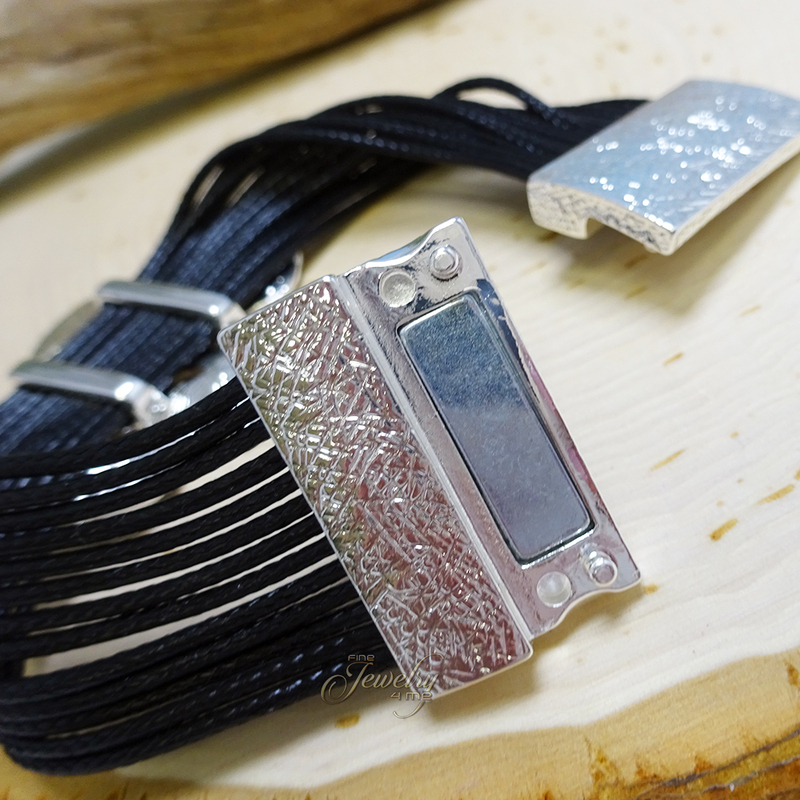 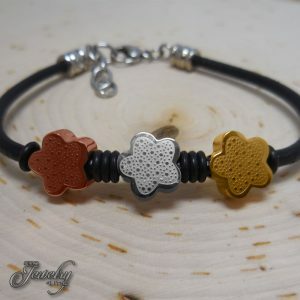 This unique Tricolor Sand-Dollar Design Leather Bracelet has 5 Gray, gold and white hand-painted sand dollar designs on a black multi-strand leather bracelet. 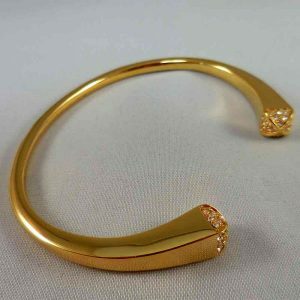 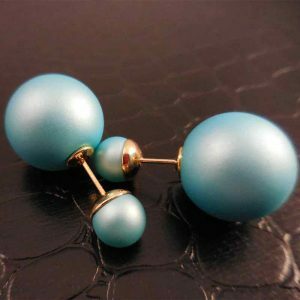 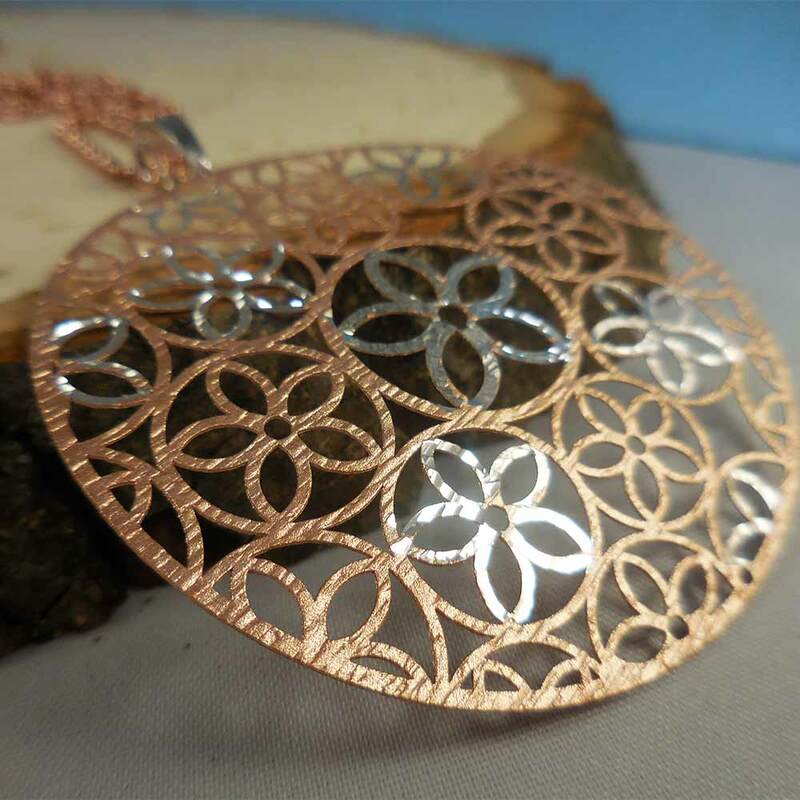 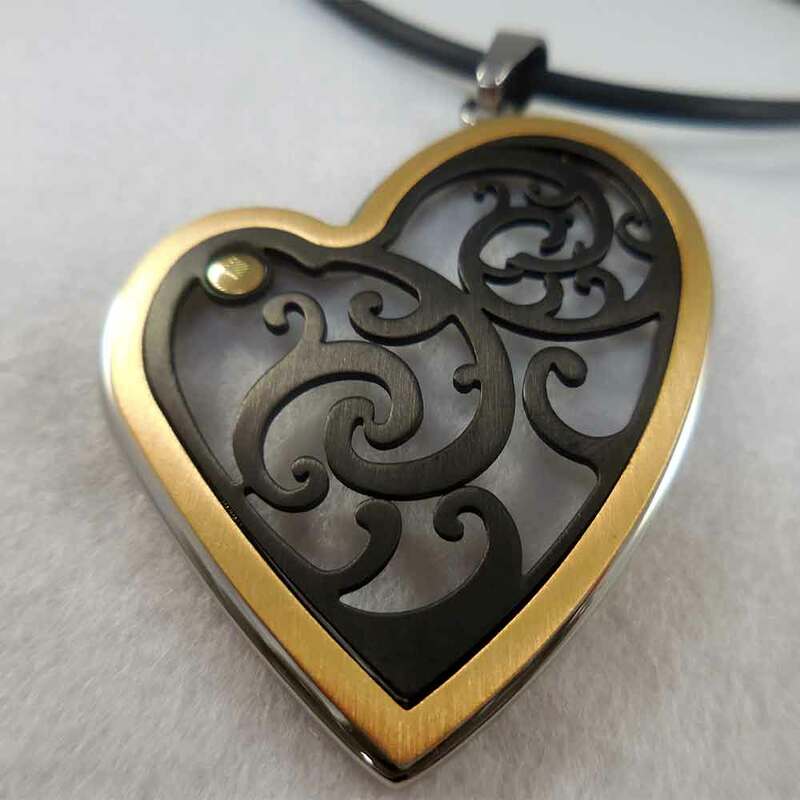 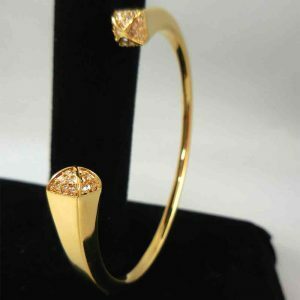 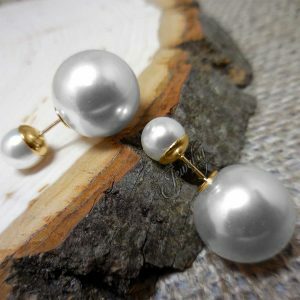 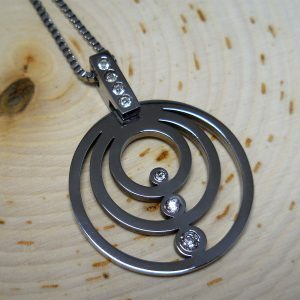 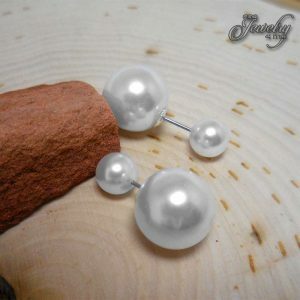 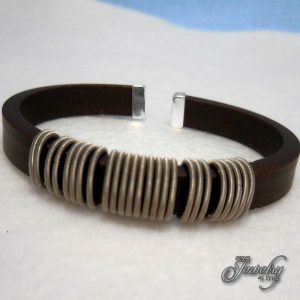 It has a Rhodium-plated basic metal magnetic clasp which makes it very easy to put on and take off. 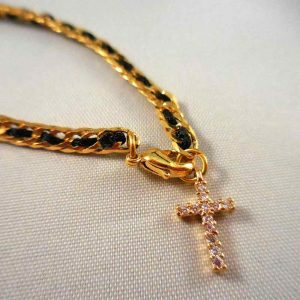 It is 7.5″ in length. 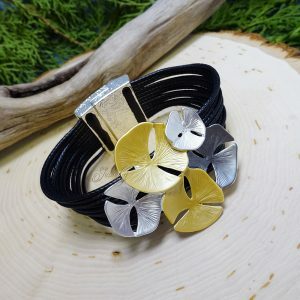 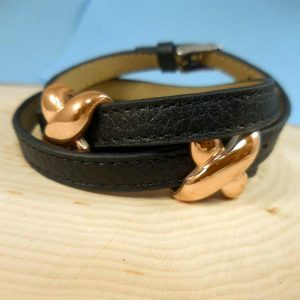 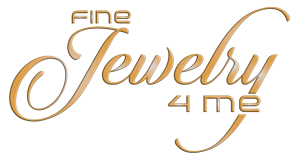 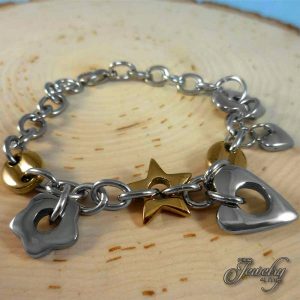 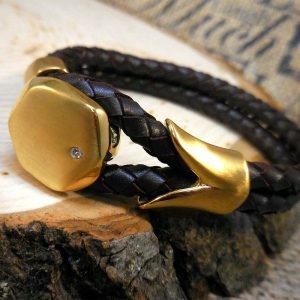 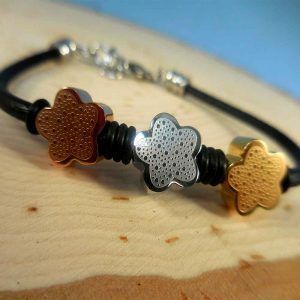 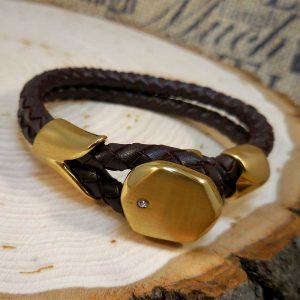 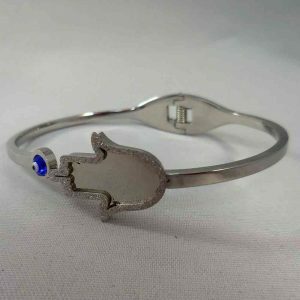 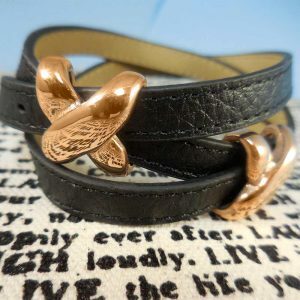 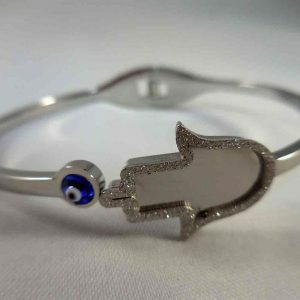 The leather is very soft and the circular designs are very lightweight making the bracelet lay comfortably on your wrist. 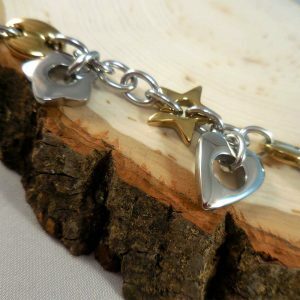 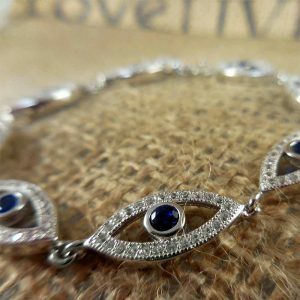 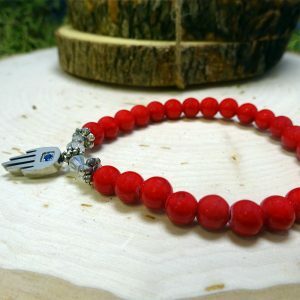 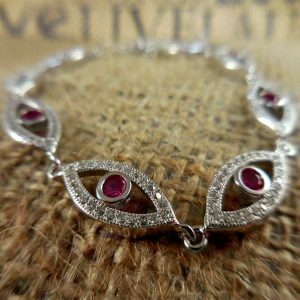 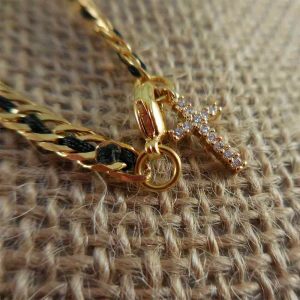 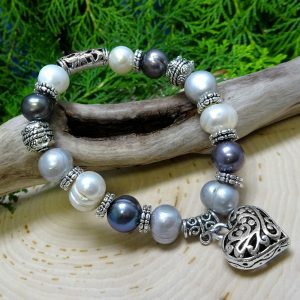 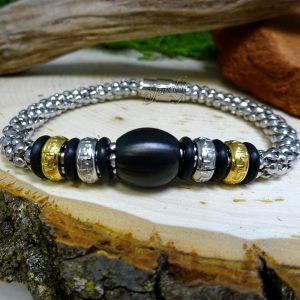 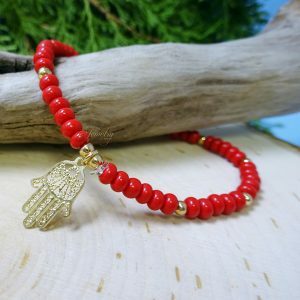 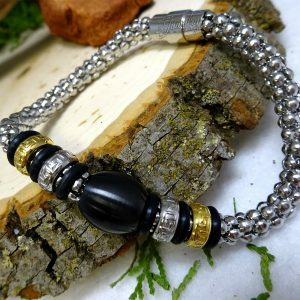 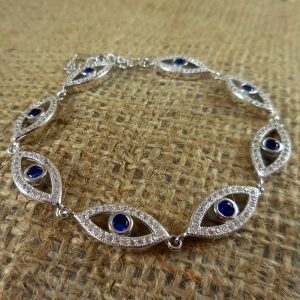 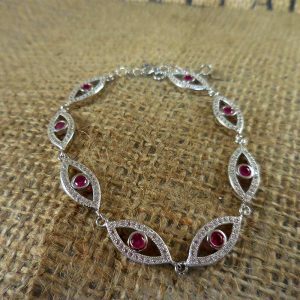 This unique Bracelet also has a matching necklace to complete the look!